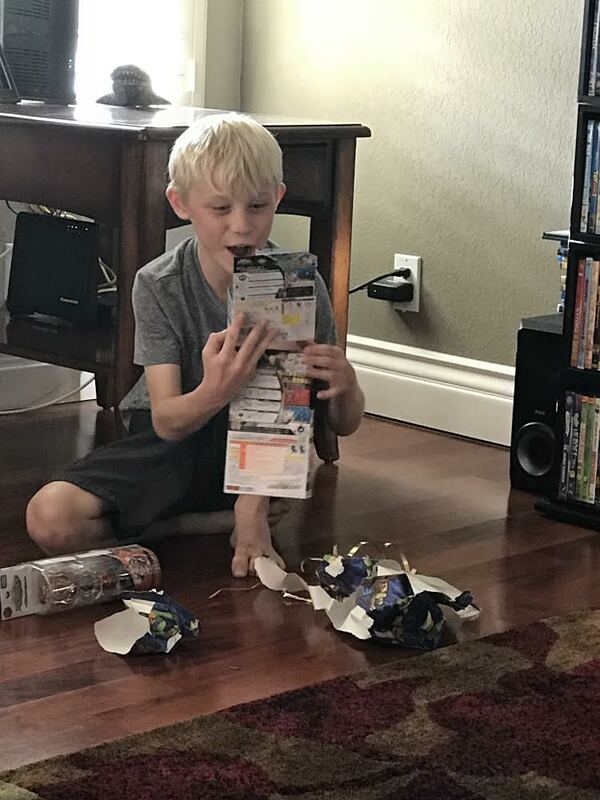 My sweet, funny, kind middle grandson, Jack, turns 10 officially tomorrow. But yesterday, we had the family party. Honestly, he is just THE best kid! Sweet, loveable, funny as hell, and kind as the day is long. (smart little whipper snapper, too.) I just adore Jack. 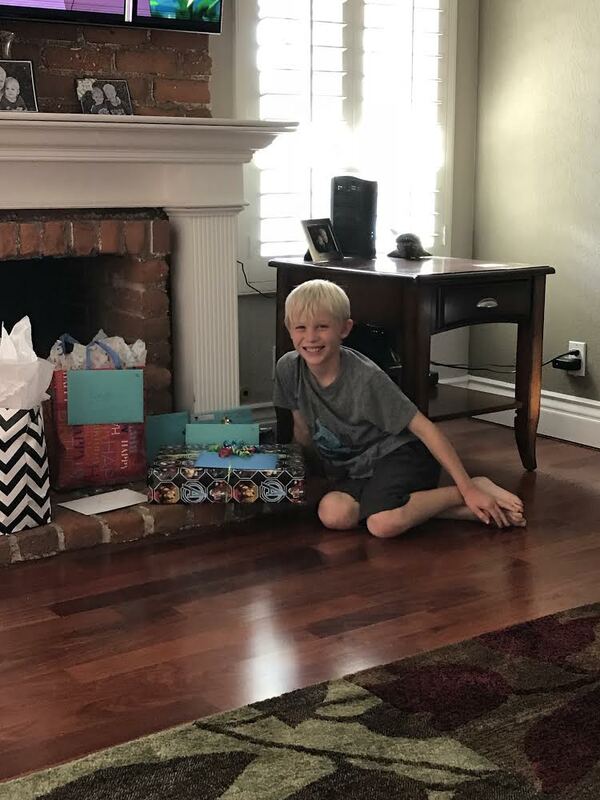 This entry was posted in Uncategorized and tagged birthdays, family, grandkids, Jack on July 1, 2018 by Silver Willow. Love the kid family parties! Always a great day. Happy 20th birthday to your little sweetie! lucky you. all my grandkids are grown or nearly so, the youngest is 17. He certainly does look sweet. Happy Birthday Jack! Fantastic cake, by the way. Double figures is a special birthday, he is certainly going to have Ladykiller looks, he is almost there now. thanks, Sally! It's an awesome age! In a couple blinks of an eye, mine will be too. But thanks! 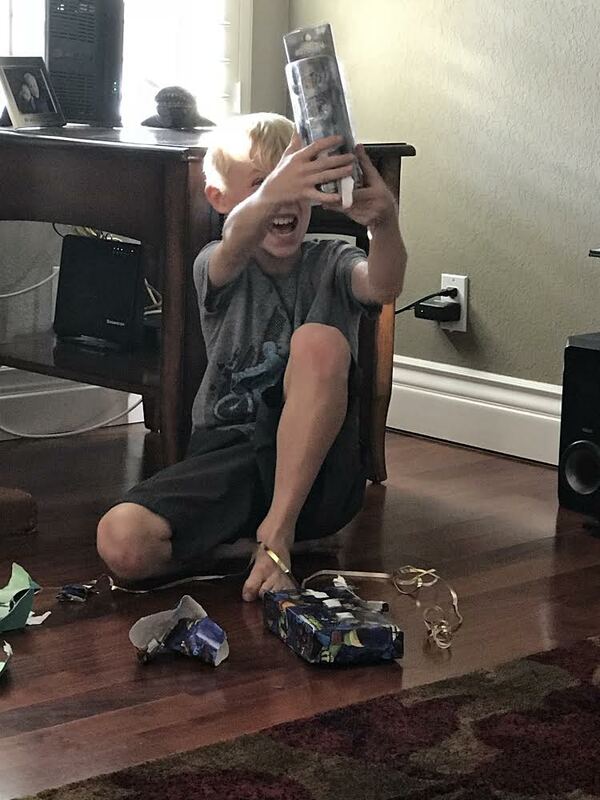 From the smiles on his face I'd say he genuinely loved all his gifts. Happy Birthday Jack! That cake looks excellent! Hey there, Jack. It is a big deal to be in the double digits! he's taller. and like a little colt! but I would still recognize that SMILE!!! can't wait for the next post. happy birthday Jack! So sweet! Happy birthday to him! Happy Birthday..lovely shots and he does look happy about his birthday. It was a good cookies n cream ice cream cake with chocolate cake. Pretty yummy! 🙂 Yes, his daddy and uncle are very tall. He will be too, and his little brother is really sprouting this summer, too! He's a happy go lucky little boy. Thanks! 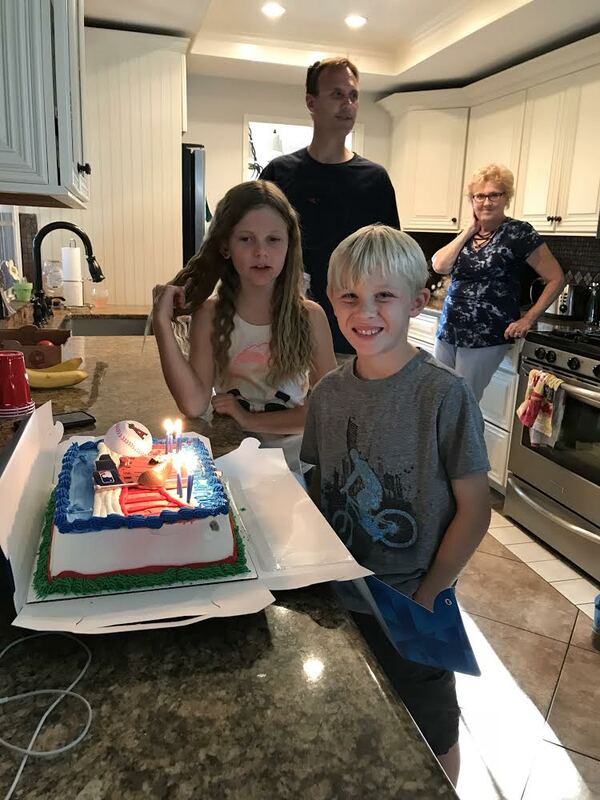 He looks like a nice kid, and oh that cake. He is so cute and a happy boy. Nice looking cake I must say too. ha! Right on both counts! How I miss having little ones in my life. What a cutie. I have a 9 year old grandson named Jack, so obviously I think Jacks are special, too! Good to know such a handsome young man is loaded with great attributes. Kindness really tops them off. He's cute — it looks like great fun! Thanks Janie! We had a blast!